This spring, when designer Scott Sanders installed a black toilet (Kohler’s Memoirs Stately) and black sink (Kohler’s Caxton undermount) in his powder room at the 2018 Kips Bay Decorator Show House, it was still considered avant-garde. Sanders admits it’s not a look for everyone. “It’s not the first time I’ve used one. Sometimes if you suggest it, though, you do get some pushback. ‘A black toilet?’ They look at you like you have two heads.” But Sanders explains that basic black blends in more than white does, allowing for a greater number of wallpaper choices. 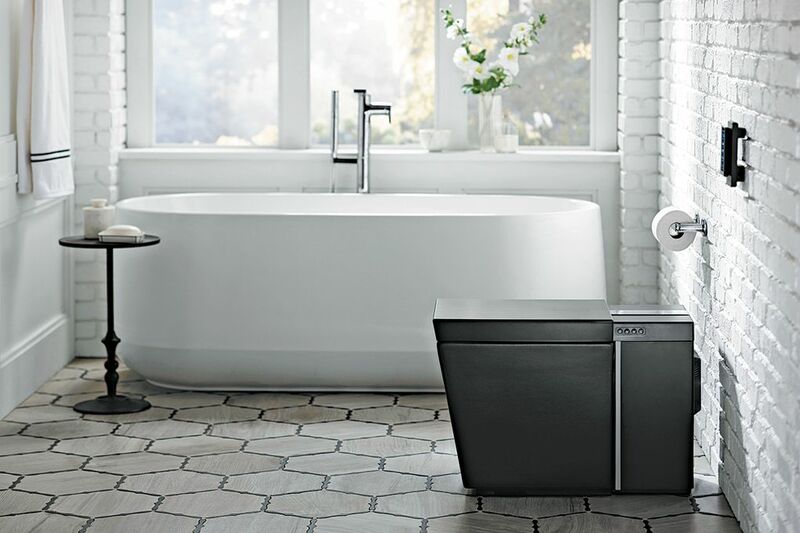 Betsy Froelich, a Kohler marketing manager, says black has been in its line almost continuously for 90 years. But in some decades, such as now, sales of black go up. To put it in perspective, the overwhelming choice in toilets is still white or biscuit. But black is No. 3, and it seems to be getting more attention these days. Luxury brand Toto sells 15 toilet models that come in black, and spokeswoman Lenora Campos says the company has been getting more requests for them recently. The styles and shades of black toilets do evolve over time. In the 1920s, black toilets were inspired by art deco; in the 1980s, they had a resurgence because of the popularity of Italian modern design and black lacquer. Today, fashion-forward designers are showing them in dramatic ways and in different finishes and textures. 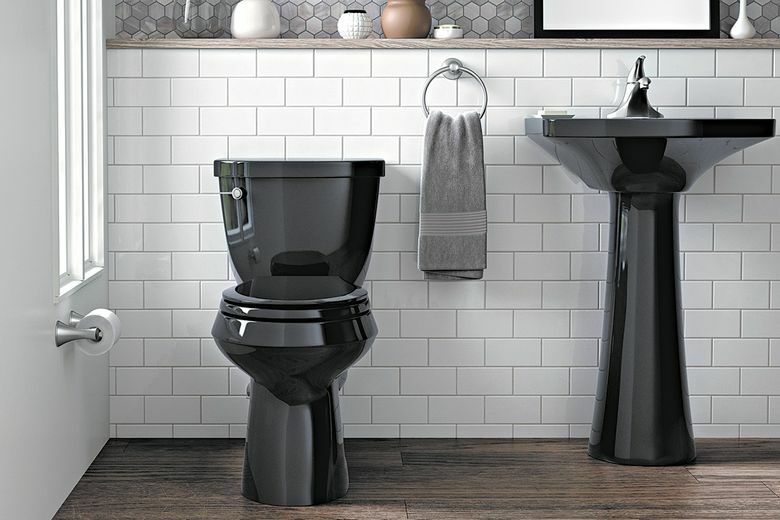 Kohler has more than 30 toilet options in black (as well as 40 black sinks) in a wide range of styles and prices. And the brand is seeing a lot of interest in a new matte finish it is offering in Numi, its luxury “intelligent toilet.” Part of the reason for the surge, Froelich says, is the recent popularity of black stainless kitchen appliances and matte black finishes on cars. Other designers are not convinced. New York designer Nick Olsen, who grew up in a house in Florida with a black toilet, pedestal sink and tub that his mom was never fond of, says he finds that look quirky and “a bit too out there” for residential bathrooms.